Hi Charles, Well after living in Paris for three years I never did that trip and wish I had. Mind you it was a very long time ago that I lived there so possibly the trips weren’t going then because I certainly never heard of them-just the usual Bateaux Mouche trips... Anyway lovely to see yet another new recipe with your new flour! I’m having a hard enough time trying to find chestnut flour so don’t rate my chances of finding Quinoa flour but I can but try as I would love to have a go at these tortillas! Hi GD - I did it first with just my wife on a wonderful sunny, brisk autumn day a couple of years ago. Back then it wasn't so well known, and really nice. It's still a fun experience, but the volume of people wasn't so nice this time. It was weird - I had actually forgotten Paris had canals. I had a friend who lived right next to the canals when I was at University and then suddenly "rediscovered" them when searching for something to do on a day off one day. For the flour - I think quinoa flour is often more easy to find than chestnut, but let me know. I'm going to order some more sometime - maybe I could order some for you too and send it over if you're interested? No worries - let me know if you decide you'd like some. I'll probably make an order again in a month or so! Hi Charlie, the humbug in me wants to complain about a beautiful old landmark being covered in padlocks, but the romantic in me thinks it's kind of sweet as well! :) What did you make when you cooked with quinoa flour? I'm looking for some inspiration! Hmm ... I do need a holiday. How nice to just enjoy a lovely cruise along the Seine, grey weather or not and chomping on yummy filled tortillas! I don't think I've seen quinoa flour before (maybe I just wasn't looking) but I do have quinoa. I wonder if it's the same if I ground it? Hi Ping, I could do with another vacation myself, and I just had a 5 day weekend, lol :D The flour - it's the same as finely ground uncooked quinoa, but you'd need to grind/mill it really finely. Perhaps if you have a coffee grinder it could be done well? Years ago I traveled to Paris, France with in high school with the French club. It was an amazing experience, I would love to go and visit one day with my hubby and kids and take this boat tour. Thanks for sharing the photo's. Really am intrigued by this recipe! I will share this on my FB page for my gluten free follower's. Didn't realize how easy it is to make tortilla's! Haha, I'm laughing at myself because when I first read the title of your post I thought that you had somehow managed to work in canal pathways into your tortillas...(you're good but you're not that good ;-)). It's too bad you didn't get a bit more sun for your outing but the pictures are no less captivating. My husband and I love the film Amélie! We've seen it at least 3 times. How fun to learn about the lock. 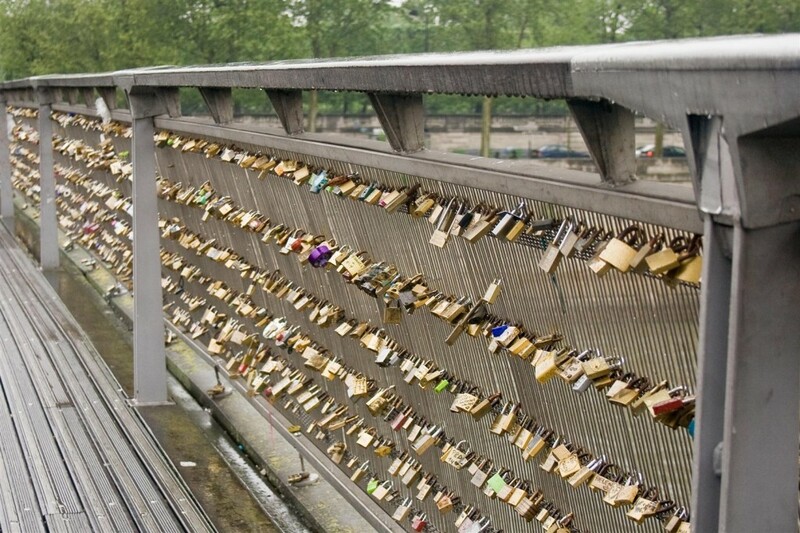 And I didn't know about the padlocks on the bridges in Paris as a symbol of love... aww, how sweet... Love these no-nonsense tortillas Charles... and the quinoa flour - fabulous idea! My boys love tortillas and these look like something I could pull together easily - I might try 1/2 cup quinoa flour and 1/2 cup quinoa flakes for texture and see how I do... thanks for this great recipe. Hi Charles, I made your quinoa tortillas yesterday for the boys (and tweeted about them too!) - the boys enjoyed them as an after school snack with peanut butter - yum! :). My version was not nearly as thin or 'pretty' as yours and kind of fell apart here and there (I really had to work it) but this has everything to do with my clumsiness and lack of bread making skills - our version was more like pita ;-) but it didn't matter in the least to me and the boys, we thought it was utterly cool making our own pan fried shells and also thought they tasted delish! Thanks again. Hi Kelly, that's so cool! Sorry you couldn't get them as thin as you would have liked - I found it a difficult dough to work with. I had never used quinoa flour so it was interesting to work with it and discover its different qualities. I was surprised that the dough had to be so dry for them to roll successfully - I'm glad you enjoyed them all the same though. Peanut butter sounds like an excellent accompaniment as the quinoa flavour is already quite nutty! I never made that trip when I was in Paris but at least I have another reason to go back! The photos are very atmospheric and capture Paris perfectly. Beautiful tortillas too, no spelt flour here but I am sure I could improvise. Hi Charlie, I'm totally the same - I like to go to Paris on overcast, wintry week days. The crush of people is manageable and then I head back just after lunch. As soon as I leave the city and enter the small suburb I live in I can feel my whole body de-stressing. I used to think I was a "city-guy", but damn, I just find it too stressful! Give me a river and some mountains, and the clean country air any day! You know how you feel about cauliflower, Charles? Well, I feel that way about quinoa. But I enjoyed the photos and the travel essay. Oooh, I'm SO glad you shared pictures! I had no idea that Paris had canals as well! What a fun trip! Also...quinoa flour tortillas? How brilliant is that? 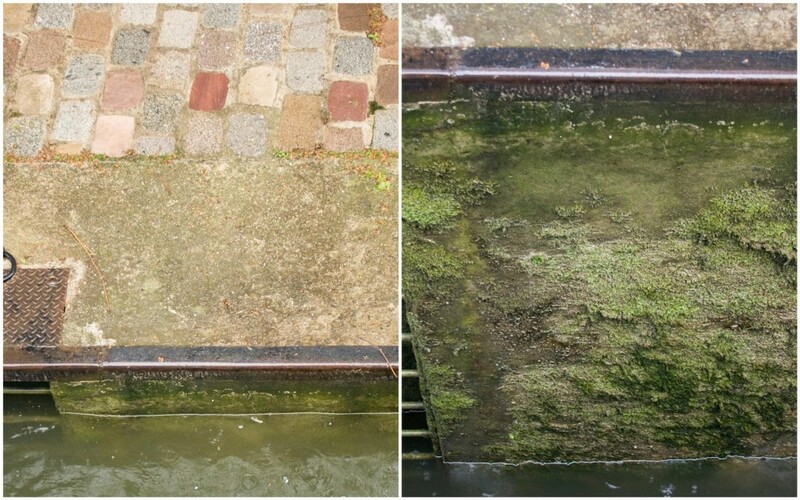 Hi Ann, the canals are so beautiful. The coolest part of the trip is the long, underground tunnel, which takes you right under place de la Bastille. It seems so ghostly in the tunnel! Hi Eva, damn, your comment was auto-flagged as spam *again*... I don't understand why at all! Well, rescued it now! Great to hear that you're getting it sorted out! Looking forward to meeting you all! :D If you're interested we could go to a wonderful Korean bbq place I know of... not sure if that's your thing but it's delicious! I've never heard of a tortilla press - sounds lovely and easy compared to fiddling about with a rolling pin and a knife to get round-ish discs :D I hope you get a chance to make these - if you do, the dough has to be really quite dry and cooled down a bit to roll successfully so I hope it works out ok for you! where on earth do you get all your quinoa and chestnut flours! it sounds like a great gluten free alternative and I love how yummy and crispy it looks. great photos of the trip too, just beautiful! wish I could go on it too. just sitting on a cruise, enjoying good food and good company and good sights, slowly taking it all in.. that is perhaps that exact romantic idea of paris that so many people have and go to Paris in search of! Hi Shuhan, there's a company called "Moulins de Versailles" which I just discovered which sell all these flours. I just discovered it and I'm so happy I did! Last time they were here, I sent my parents on a 3 hour Seine dinner cruise. It's quite popular for tourists but nevertheless they said it was a wonderful experience and you go all up and down the Seine through Paris! I have never made my own tortillas, not to mention ones with quinoa. They look fabulous and are so fashionable now that gluten-free diet is so popular! I have never taken this trip. I have only walked along the canals. Thank you for sharing this discovery with us. The photos are great, in spite of the weather. Hi Sissi, it stopped raining for a little while at the end of the trip, just as we were going through the final lock which was nice. After that we joined up with the Seine which was quite a surprise because the water there was so choppy compared to the gentle, calm canal waters. I heard that the canals have really risen in popularity during the last few years and apparently they have become *the* place to hang out in the evening with friends and a bottle of wine! I love the padlocks on the bridge! Totally corny yet romantic! :) And thank you for the reminder about Amelie. I remember hearing back in 2001 that I need to watch that movie and would you believe I totally forgot about it until you just now wrote about. I'm going to write myself a note, so that maybe this time I won't forget for 11 years. And I've been to Paris once - years ago and had no idea there were canals or a lake! Fascinating. Clearly I need to come back to Paris and do some more exploring. :) Fabulous looking tortillas and really impressive. They look much better than the kind I buy at the store. Have a great week Charles! Hi Kristy. The canals are well hidden - right up in the north east. Aside from a small section of them visible over a wall from place de la Bastille, just before they join the Seine (and you could easily be forgiven for thinking that they were part of the Seine themselves) they're all located a bit off the beaten track before the big tunnel. There aren't so many tourist spots in that part of Paris so they're an easy thing to miss :) As for coming back to Paris - you definitely should! I'd love to meet you guys! 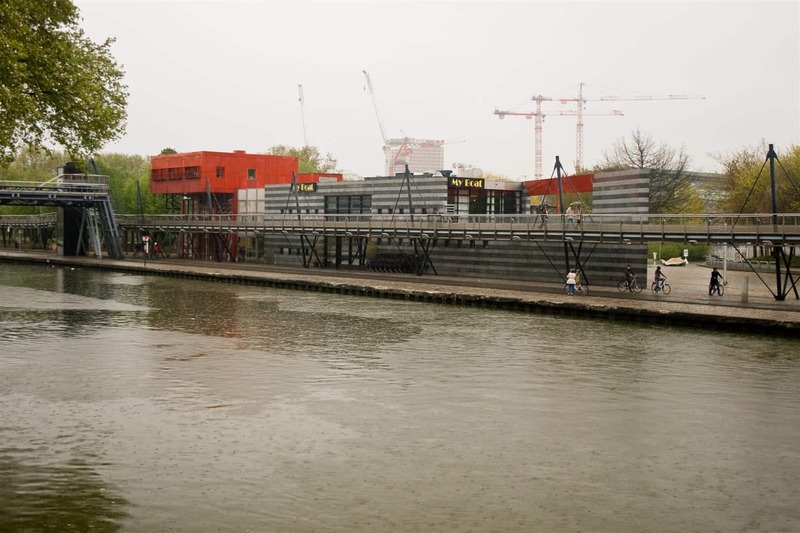 thanks for sharing the pictures of the river Seine! I've always found locks fascinating engineering, but then I am a geek. :) Interesting little superstition with the padlocks. Quite unique. 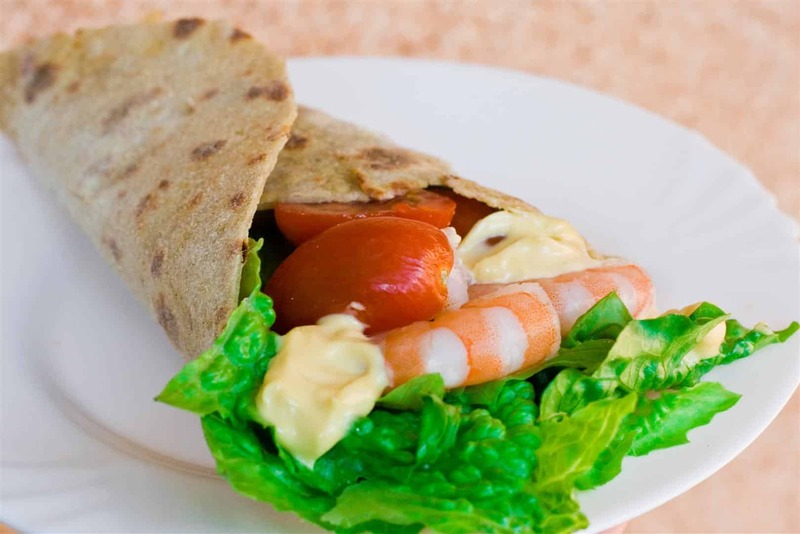 Quinoa tortillas - now that's very interesting. I've only made quinoa once, and need to cook with it more. Since I eat a LOT of tortillas, this would be a great recipe for me! They look delicious! Hi MJ - there's a "flight of locks" in England which is quite famous because it's a quite steep hill with locks going all the way up (and possibly down?). Something crazy like 40 locks or something in total. Must take absolutely hours to navigate them all! I really love quinoa - I really recommend cooking with it more - it's one of my favourite alternatives to pasta these days! Delicious, versatile and filling! I forgot to mention that they do the same padlocks on the Brooklyn Bridge in New York City! I must remember to bring one for our trip to Paris! Thanks for the lesser-known tour of Paris Charles! These tortillas would be just perfect for my new healthy eating regime. I really must make them....I hope to find time VERY soon. Things have been a little hectic lately. My mom has been staying with me for a few days and I'm afraid I've been "offline" ever since. Hi Charles, I hope to visit Paris, someday. Absolutely gorgeous photographs. The tortillas look great too! I am not very good at making Indian bread"chappati" or tortillas. But will have to give this one a try. Thanks for sharing. Hi Asmita - glad you enjoyed the photos. Not sure if you've seen them but I've posted other photos of Paris before here. I hope you like them! Actually, chappati bread is one of my next things I want to try! Got any good recipes? I've only started to eat quinoa recently, but I love this idea for quinoa flour tortillas! One member of my family is trying to follow a gluten-free diet, so I'll have to make these for her and see what she thinks. 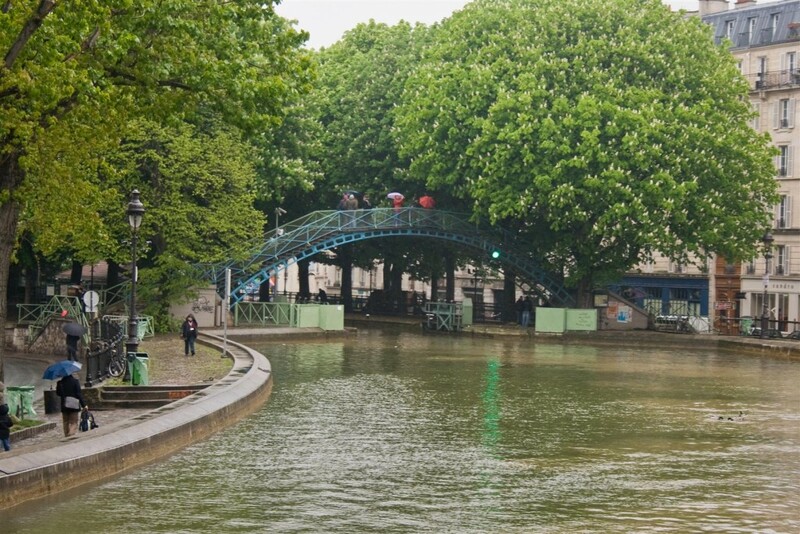 Even in the rain, the Parisian Canals look worth a trip! Thanks Laura - I hope she enjoys the tortillas - they have a very distinctive flavour - best balanced with something with strong flavour - feta cheese for example! Thanks for sharing your photos - that looks like a fun trip even though the weather was not perfect. It was wet and miserable here in London as well. The quinoa tortillas look great! I just bought some normal ones today for lunch this week. Thanks BakingAddict - I'm glad you enjoyed them - I've now done the trip three times, but always in this direction. If I do it again I'm going to make sure I go the opposite way, lol. I bet going in the morning would mean fewer people too! Thanks for sharing your outing with us...especially since you had to take your photos in the rain. Thanks Caroline - I'll admit that even in the rain, the city does have a certain charm :) Hope you're able to hop over one day! Oh Paris! A place I dream to visit before I get old :) Beautiful photos and the tortilla sounds not only lovely but healthy too! Thanks Kankana - I'm glad you enjoyed the pics. It really inspires me to get out and take more when people like viewing such sights so much! Thank you for sharing the pictures from the trip! It's fun playing a tourist sometimes because you get to take interesting pictures from different places that you normally don't visit. I'm impressed that you made your own tortillas and not just regular one, it's quinoa! I've seen quinoa everywhere and this is another unique quinoa recipe! Hi Nami - definitely... sometimes it's fun to just forget that I have an apartment not 30 minutes away and "be one" with the tourist crowd :D It's not like I'm an expert on, for example, the canals, so I can learn a great deal this way too! Thanks for a trip down memory lane. 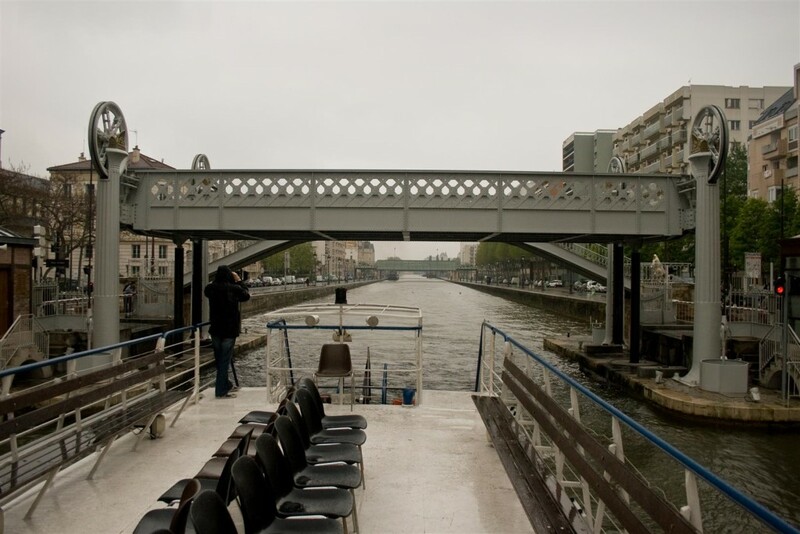 Visited Paris few years back, took the boat trip and yes it was a most enjoyable journey. Did not learn about the padlock on the bridges. Rainy day photos has a certain charm about them, great shots. No experience working with quinoa flour, never knew it existed, must pay better attention when I go to the health food stores. I loved reading your post. I had visited Paris last year but didn't take an organised tour of the city. How I wish I had...! The tortillas look very healthy and perfectly done. Quinoa flour is an ingredient, that I have yet to try. oh i need a holiday like yesterday! The tortillas look mouthwatering. perfect color and texture! Oh, how I some day want to visit Paris. Thanks for sharing your photos, even if they do make me jealous, LOL. 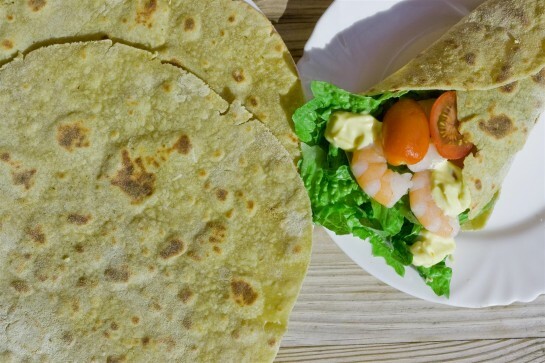 Those tortillas look perfect and with so few ingredients. I haven't seen quinoa flour yet but the health food store probably carries it. Sounds healthy. Hi Suzi, I guess you might even be able to make your own quinoa flour, using a coffee mill and uncooked quinoa perhaps. Worth a try if you can't find it, although as you said, health food stores these days stock an ever more bewildering array of things so I'm sure you could find it there! This looks fantastic. Katherine will eventually make me take her to Paris. Better buy a lock! Thanks Greg - just don't forget to place it on the Pont des Arts - I heard that they get removed from other bridges periodically, but as far as I know the one on the "main" bridge are allowed to stay because it's kind of like a famous thing now. All the names of the places are familiar but I have not been to Paris!! Imagine that! lol my mum had bad memories of the time she studied there so she didnt want to take us to this city... Can you see the Cathedral St. Dennis from the boat? =P I am going to take my husband once and show him all that but I dont think so we need the lock thing, which looks like an art by the way (must be worth something for sure!) I feel 20 euro isnt very cheap, but well it sounds a lots to me and I am used to the INR so maybe its reasonable. I have seen Amelie Poulain! ^.^ magical movie a must watch! haha love the video and thats a great idea, especialy if u need the recipe quickly on the mobile. About your quinoa tortillas... they look very appetizing, I have never tried tortillas but I guesse they come close to chapatis. anyway I am looking forward to give it a try at least soon. thanks for sharing charles! Charles, lovely post. (And not just 'cause you mentioned mois!) 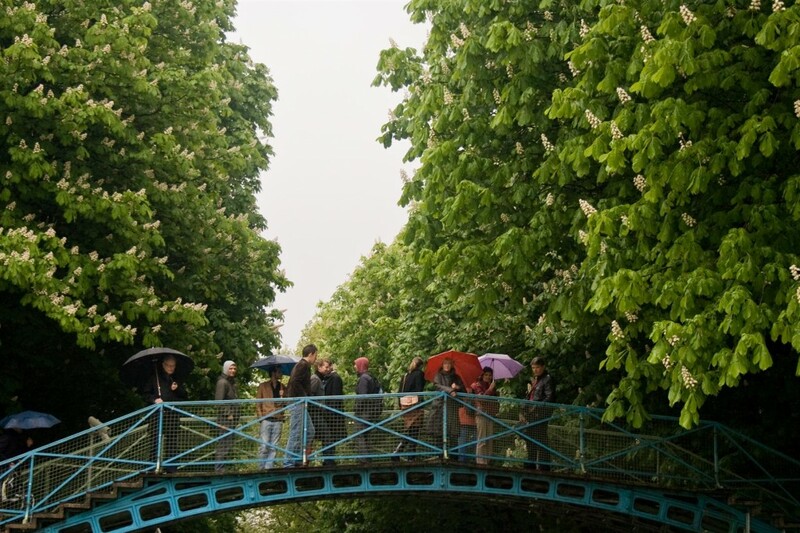 I especially love the photo of the tree-covered bridge. What a gorgeous series of photos! I had not heard of the padlocks before. Your tortillas look wonderful, too! Hmmm, on IMG_3157 is it the same bridge that we took photos of at night? It's not - although that is very close actually. I hope you enjoy your quinoa - it's wonderful... makes a delicious, healthy alternative to things like pasta - it's wonderful if you make something like a couscous salad, but use quinoa instead of couscous... it goes really well with lemon juice!